Students in Chris Marrone's oceanography course receive extra credit for donating phones. 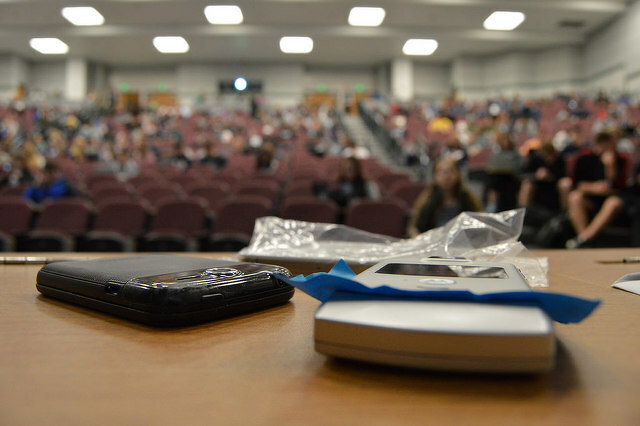 For more than 10 years, Chris Marone has been offering extra credit to Penn State students in his basic oceanography course, The Sea Around Us, for donating old cell phones. The project not only gives students a way to reduce ocean waste, but also raises funds for the American Cancer Society’s Relay for Life. Marone’s course covers topics including tides and how they affect the ocean, ocean chemistry and geology, ocean currents and circulation, marine life and issues related to ocean science. After students turn in phones, Marone donates the phones to Relay for Life. The phones are then sent to companies like EcoPhones or Gazelle, which either recondition them for reuse or remove and refine the electrical components and chemicals into reusable raw materials. The spring 2016 class has recycled more than 360 phones. Marone has collected thousands since he first undertook the project in 2004, raising more than $5,000 — all by donating electronics that would otherwise go to landfills. Peter Spiridigliozzi was interested in donating phones because he had been involved in Relay for Life fundraising before coming to Penn State. “I was team captain for my high school’s Relay for Life team. I think if we can do something to fight cancer, we should. There’s no reason I shouldn’t donate my old phone when it’s just collecting dust. And, I get a couple of extra credit points for it,” he said. Since 2004, Marone said he has seen not only more phones being donated, but also higher-quality phones being turned in. This generates even more funds for Relay for Life. 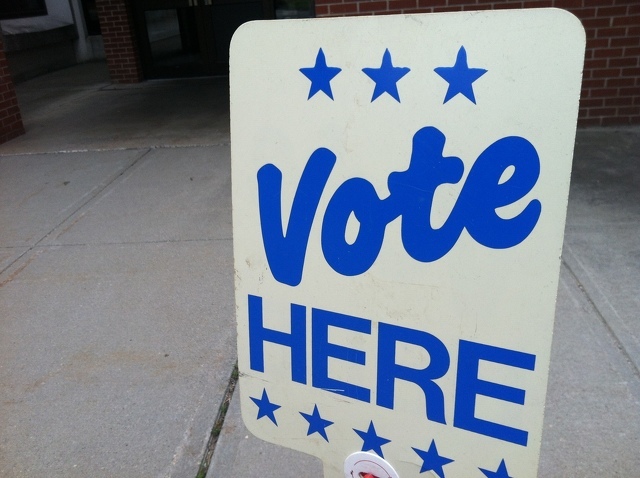 The 2016 Pennsylvania Primary will be held on Tuesday, and while the Presidential nominations are the headliners, Pennsylvanians also will be nominating candidates for the November general election races for U.S. Senate, state attorney general, state auditor general, state treasurer, U.S. House of Representatives, representative in the Pennsylvania General Assembly and a ballot question.